Our 2-day performance climbing course is for the competent lead climber who would like to push their grades. We will provide you with the tools and strategies to break into the advanced-level climbing. Whether you want to break through into climbing your first HS, VS, HVS, or even the E grade (or Extreme Grade). Most of us when we go climbing outside, we climb within a certain comfort zone. Meaning that we will not climb to our physical limit, as we do not want to fall off. This is usually to do with the lack of trust in the equipment. Maybe we do not trust our judgement in placing good gear. 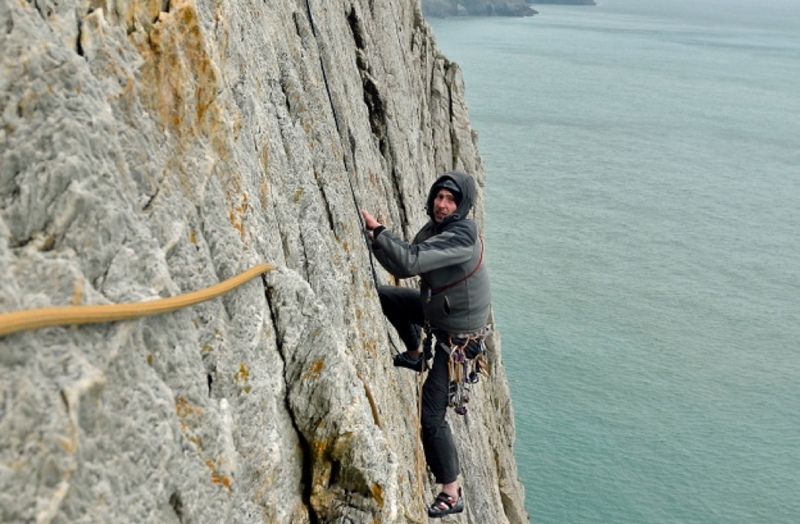 The performance climbing course is 2 days long, and is run in Gloucestershire (Wye Valley), Bristol, Somerset (Avon Gorge), Devon, The Peak District, Pembroke or North Wales. Our client-to-instructor ratio does not exceed 2:1, so that we can give you our fullest attention. Gloucestershire (Wye Valley), Somerset (Avon Gorge), Devon, The Peak District, Pembroke or North Wales. You need to be lead climbing comfortably, the grade you climb is irrelevant. If in doubt about whether the course is suitable for you, please don’t hesitate to contact us. Each day of our performance climbing course we would introduce the topic of appropriate route choice, and talk about some of psychological aspects of climbing, and coping strategies. We will look at good gear placements, and progressively test these (safely). So we learn to become comfortable in our own judgements and ability to place good gear. We will also look at movement, and try and help you become a more energy efficient climber. As well as the topics from day one, we will look at route selection. How we know whether a route is safe (i.e. lots of protection), and would feel comfortable to push our physical ability on them. If all goes well, if you choose to, we can try and climb a route that will put you on the sharp end. And we can put all we learnt into practice. The course content and location tend to be dictated to us by the weather, so the performance climbing course layout can change. If you are unsure whether the performance climbing course is suitable for you, please do not hesitate to contact us on info@riseandsummit.co.ukor call us on 07775 853 348, and we would be happy to help.